Battersea Arts Centre has been handed a £1m renovation grant after fire ripped through the venue in March destroying about 30% of the first and second floors of the property, including the Grand and Lower Halls. Incredibly, two performances went ahead just a day after the fire, which took hold after work to renovate the Grade II-listed building had got underway. Chancellor George Osborne has said the money will help restore the centre to its "former glory". He added that news of the incident, which saw 80 firefighters fighting the flames had saddened people across London. Osborne said the additional £1m contribution to help restore the BAC to its former glory will help the venue “continue its great work in showcasing arts and culture to 100,000 people each year”. The centre delivers an extensive programme of productions, including theatre performances, workshops, weddings and corporate events. Over 400 artists have used the venue this year and more than 3,000 local children have taken part in art schemes. The government’s efforts to restore the BAC have been backed by £200,000 of public donations. And to help raise more money for the centre, the Phoenix Fundraiser promises to be an unforgettable evening of live entertainment with the UK's top comedians, musicians and performers. Headlined by Bridget Christie and Stewart Lee, the event on 16 April will take place at the Southbank Centre. Tickets for the Phoenix Fundraiser are on sale now and priced from £10 to £100. The money raised will go towards rebuilding to Grand Hall, which could take up to four years. Meanwhile, the show must go on. Plans are underway for the Battersea Arts Centre Summer Cook Up, which starts with Like Mother, Like Daughter by Complicite, from 26 May to 6 June. There's also Until You Hear That Bell with Sean Maloney and This Is How We Die by Christopher Brett Bailey. As well as this, the centre’s Taking a Stand Season features an alternative series of politically-engaged shows and events, including an appearance by political satirist Mark Thomas. 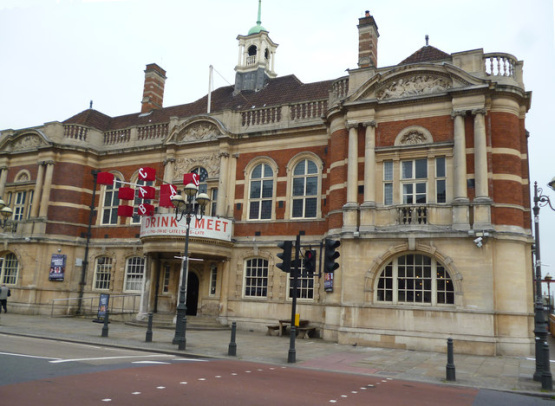 Battersea Arts Centre has come to mean so much to those who live in the area and those who regularly attend its shows. So many people have passed through the building throughout the years and call it home. This is why it's so important to get involved and help the building recover from this devastating fire.